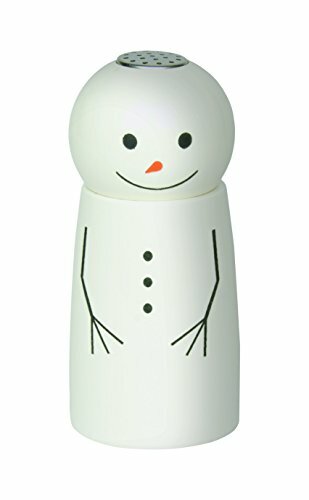 Inspired by one of our most-loved and inquired-about holiday items, the Fletchers' Mill Mini Snowman Salt Shaker is sure to be the darling of every holiday gathering! The snowman's eyes, mouth and buttons are engraved into the wood, guaranteeing it to be a whimsical conversation starter. All Fletchers Mill wood products are handcrafted in Maine from the finest New England hardwoods, and carry a lifetime guarantee. 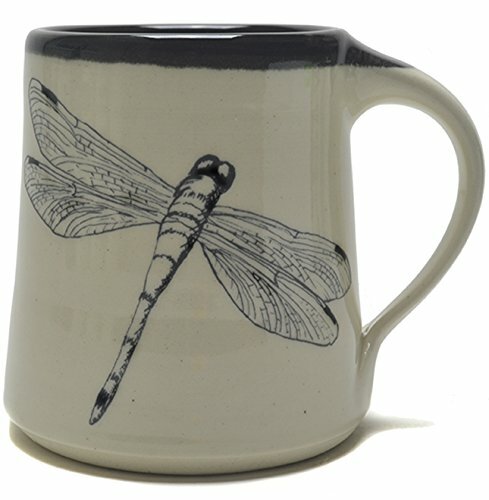 These shakers have both outstanding quality and unique designs. Check out the entire Snowman Collection which also includes Salt Mills and Pepper Mills of various sizes. "From raw logs to the finished product the entire process is done in-house and under a watchful eye. That is why the Fletchers are proud to say Made in Maine, Guaranteed for Life." -Doug Fletcher. 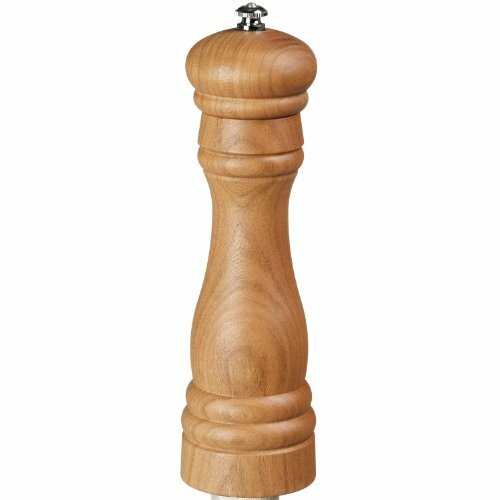 Fletchers' Mill Federal Pepper Mill, Cherry - 8 Inch, Adjustable Coarseness Fine to Coarse, MADE IN U.S.A.
Lazy Susan's remain a favorite centerpiece for sharing dinner items and condiments with family and friends. 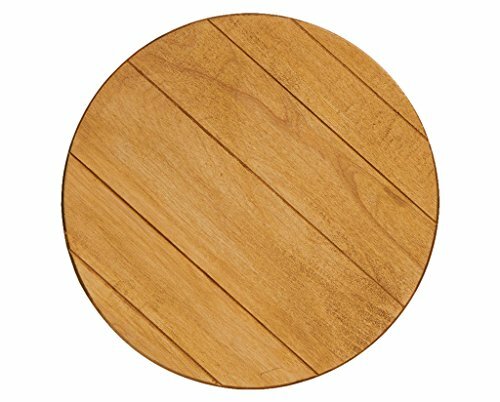 Our J.K. Adams 18-Inch Round Maple Lazy Susan with Artisan Finish spin with smooth, ball-bearing swivels and have a padded base that protects your table from scratches and prevents slipping. These beautiful pieces are made in two different variations to fit any style. Maple with an Artisan teak oil finish. At J.K. Adams, we believe that the kitchen is the heart of the home. It is this belief that drives us to create the highest quality, hand-crafted products for cooking and entertaining. It is our job to give you the tools to make cooking and entertaining easy and fun. We love to hear about the well-used carving board that serves one family's Thanksgiving turkey year after year or the cutting board used to prep a great dinner for friends. It is these stories from our customers that keep us going. In 2014, we celebrate the 70th anniversary of J.K. Adams. In this time, plenty has changed. We are proud to say that our values have not. We remain committed to producing high-quality kitchen and housewares products by hand from North American hardwoods in Dorset, Vermont. We are a second-generation family-owned business with employees that have been with us for years and who are proud of the products we produce together. Fletchers' Mill Federal Pepper Mill, Seafoam - 6 Inch, Adjustable Coarseness Fine to Coarse, MADE IN U.S.A. Kitchen storage solutions by J.K. Adams make it easy to save on valuable kitchen space while enjoying the best of USA-made craftsmanship. The family-owned company provides everything from pot hooks and spice bottles to wooden spice carousels, kitchen-knife blocks, bread boxes, wine racks, pot racks, and more. J.K. Adams' wooden kitchen items feature renewable and sustainable wood in Maple, Cherry, Walnut, Alder, Ash, or Hickory varieties. A thoughtful choice for gift giving, the high-quality kitchen items provide sleek designs and convenient functionality for year after year of everyday convenience. 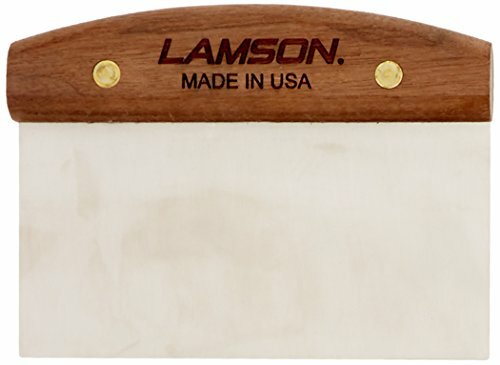 In the late-1970's, when the gourmet-chef-tools market in the U.S. was still in its infancy, J.K. Adams owner Malcolm Cooper, Sr. conceived of the first slanted knife block. 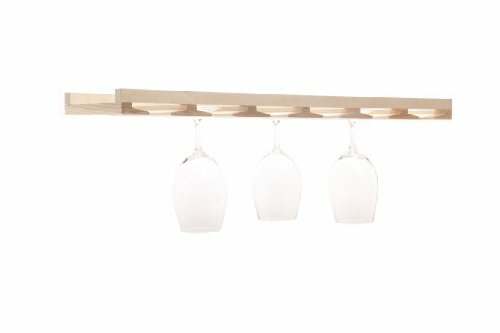 His goal was to create a cutlery organizer that would hold knives at a low enough angle that they could be easily removed from the block when it was pushed back under a cabinet overhang. The J.K. Adams Kangaroo knife block was launched in 1980--the first-ever slanted knife block, and still the best. Recognizing the many opportunities to improve kitchen storage, J.K. Adams introduced the revolving "carousel" spice rack in 1982 followed by countless other well-designed storage products in the years since, including the popular in-drawer knife tray in 1994, a space-saving alternative to the knife block that offers the same safety and blade protection. In 2011, J.K. Adams takes cutlery storage to a new level once again with the new Universal knife block. For over 30 years, J.K. Adams has continued to lead and inspire the kitchen storage market with their innovative designs, superior hardwoods, and exemplary craftsmanship. Some of the world's finest woodworkers can be found in New England. The rich heritage and folklore of the great Yankee Woodworker is as well known today as it was hundreds of years ago, and the craft has been handed down through the generations. J.K. Adams' success is certainly attributable to the early Vermonters employed by the company while in its infancy who brought forth the techniques and quality craftsmanship that could only come from generations of shared knowledge and experience. The J.K. Adams factory has been at the same location since the beginning. As many as three generations of families have relied on J.K. Adams to provide for their families. Located in a rural area of Vermont, J.K. Adams remains one of the largest employers in the area and is an important pillar of support for the local community. J.K. Adams has always used the creativity and skill of their workforce in developing new products, and today J.K. Adams continues its New England craftsmanship with a wide variety of cutting boards, as well as wooden salad bowls, kitchen islands, and slate serving trays. And at the J.K. Adams factory, you'll find future generations of woodworkers building upon the traditions begun over 65 years ago. Cutting boards and other products by J.K Adams are made in the North America. In colonial New England, three strokes of a broad ax were used to mark the finest trees in the forest for the Queens' Navy shipmasts. The broad arrow was adopted as our logo because it symbolizes the exceptional quality of wood that goes into our products. Why Choose a Wood Cutting Board? Wood is naturally anti-bacterial, and any bacteria left on the board will actually lessen in time versus multiplying on a plastic cutting board. 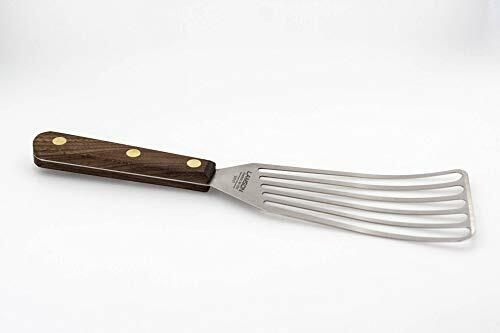 A wooden board will also be more gentle on your knife's edge, and it just feels and sounds better under a knife. Wash by hand in warm soapy water and dry thoroughly, and oil frequently with mineral oil to help give it an optimal appearance. Do not soak, microwave, freeze, or put in the dishwasher. For removing stains, you can use a weak bleach-and-water solution or a combination of lemon juice and salt. Be sure to rinse and wipe with mineral oil afterward. Additionally, the surface can be sanded to make the board look like new--although a board with wear will add character to your kitchen. For storage, keep the board away from strong sunlight as avoiding UV rays will reduce the risk of fading.